Whether you’re a first-time convention-goer or a veteran cosplayer, you’re going to Mesa County Libraries Comic Con to have a good time. 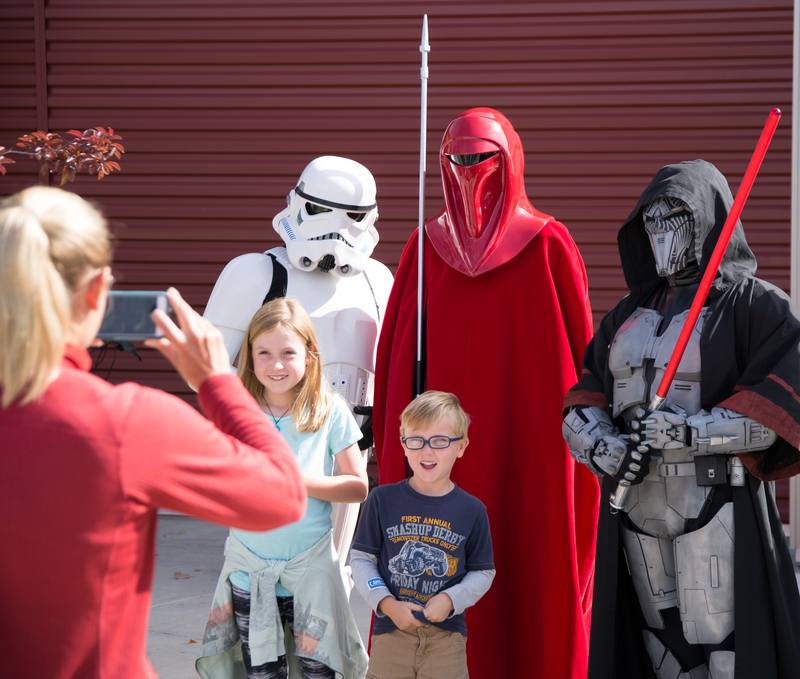 To make that happen, here are a few etiquette tips for enjoying the multitude of costumed players who will be at Two Rivers Convention Center this Saturday, Oct. 7. Personal Hygiene – It can get sweaty fast in a packed convention hall, especially in a bulky costume. Don’t forget to put on deodorant before you put on the rest of your cosplay! Photos – Always ask permission before taking photos or videos of other cosplayers. Most might not mind it, but everyone wants to know first if they’re on camera. Ask First – Cosplay is never consent. Always ask first to hug or pose with someone, and never touch them without their permission. Keep It Smart – If you’re cosplaying, remember that you’re representing a character loved and looked up to by fans. Keep it classy, and don’t do or say anything that might tarnish their image of that character. Props – Every cosplayer puts time and effort into their work. Never pick up or handle their props without their permission. Respect the Artists – Don’t monopolize the guest artists’ time, and remember that other people want to speak to them too. Keep it brief, keep it respectful, and look but don’t touch when you’re at a booth. Weapons – If your cosplay involves a weapon or prop, make sure it’s been cleared with security first (Please read and observe the Comic Con Rules for Cosplay. They will be strictly enforced!). Be safe, and be aware of your surroundings before brandishing or posing with your weapon or prop. Take it Easy – If you’re cosplaying, don’t forget to take breaks to rest and stay hydrated. It’s easy to get worn down quickly, especially in a heavy costume! Enjoy Comic Con, and have a great time!